If you are looking for the ultimate Beach Sport Kite, look no further than the Thunderstuck! 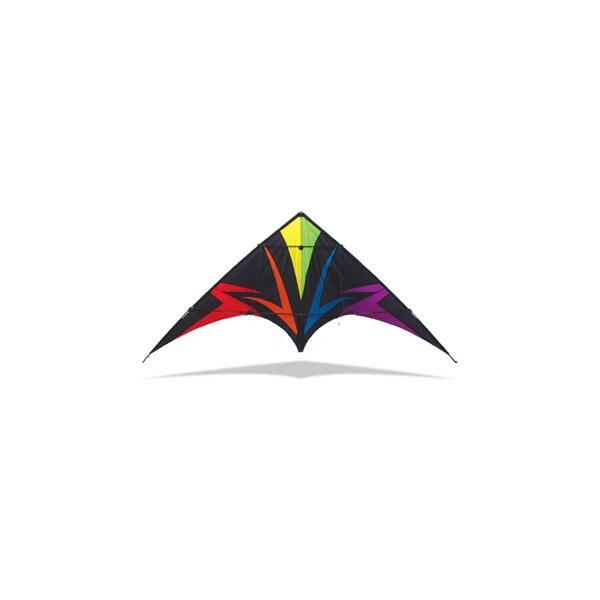 This kite has proven to be one of the best flying beginner sport kites available on the market today for those mid range to higher wind conditions. The 6mm Fiberglass frame and deep sail profile allows it to handle "beach conditions" and the learning process. When the wind picks up, no problem. This kite is not only a great beginner sport kite, but one that any flier will appreciate and enjoy in challenging winds and one that you can really feel on the end of the lines. It rips through the sky with a loud buzz noise that adds to the excitement. 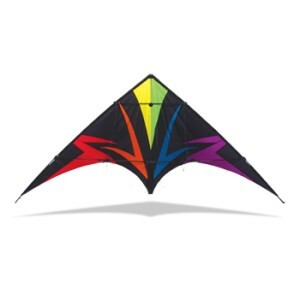 Including Ready to Fly lines, winder and fly straps, the Thunderstruck is a fun kite to fly for all skill levels!